An interpretation of the biblical Exodus story, wherein Moses (Bale) frees 600,000 Israelite slaves from Egypt. Born into slavery, Moses was rescued by his parents and found by the Egyptian queen, who took him in and raised him as her son. As an adult, Moses learns of his true heritage and begins to see the way his people are treated in a new light. 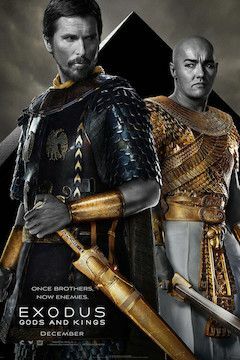 Standing up to his adoptive brother (Edgerton), Moses sets out to free the slaves and escape the deadly plagues that God has brought down on the Egyptians.